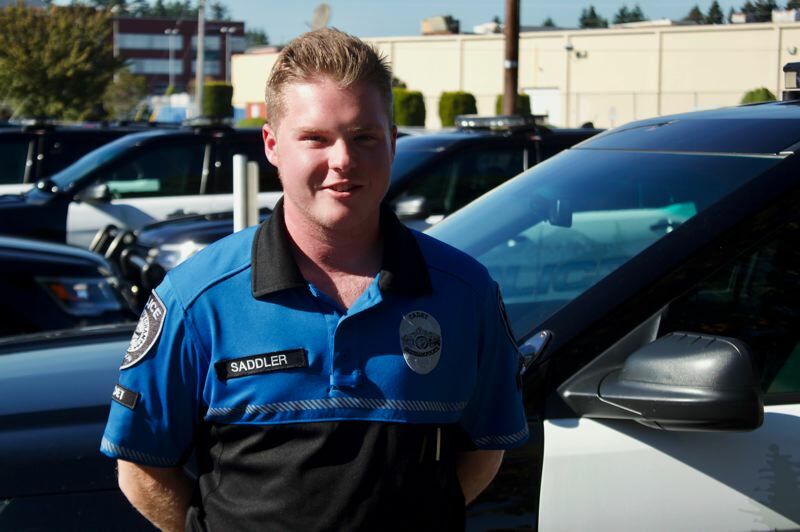 Bouncing around the various booths at a job fair, the stand with the Gresham Police Department cadets in their royal blue uniforms caught Timothy Saddler's eye. 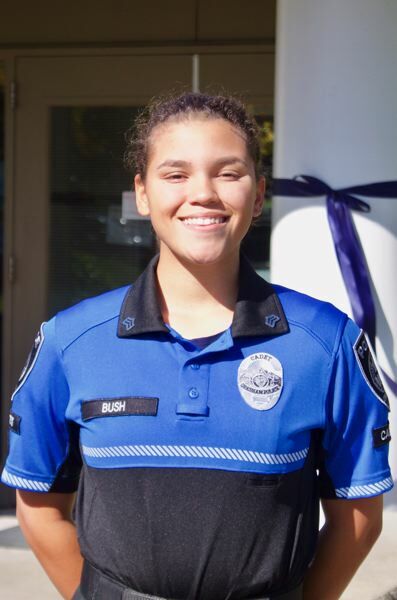 Then a sophomore at Centennial High School, Saddler had dreamed of becoming a police officer, so it seemed like the perfect fit. "Ever since I was a kid, I've wanted to help people," he said. "So I decided to apply to become a cadet." Now more than two years later, the 20-year-old Damascus resident is attending classes at Mt. Hood Community College and planning to become a full-time police officer. The 22 cadets all came to the department in different ways, but stayed because of the camaraderie and opportunities for growth that make the Gresham unit special. "This program doesn't just showcase aspects of law enforcement, it also makes our cadets better human beings," said Detective Brandon Crate, who has advised the unit for the past six years. Gresham's cadets take an active role within the department. Open to youths aged 15 to 20, they go on ride-alongs with officers and traffic patrols, help record management and crime prevention, and give tours of the station. The wide array of tasks is what makes the program unique in the region, as most only have the members help with crowd control at local events. And though the Gresham cadets happily help at events like Rock the Block and the Gresham Teddy Bear Parade, the most memorable moments have them alongside the sworn officers. Eighteen-year-old Jordan Bush had her standout moment during her first ride-along. When the cadets join officers on their shifts, it is for the entire 10 to 12 hour run, making for a long day — but Bush was fascinated by the whole process. "I remember they had to chase down a guy at one point," Bush said. 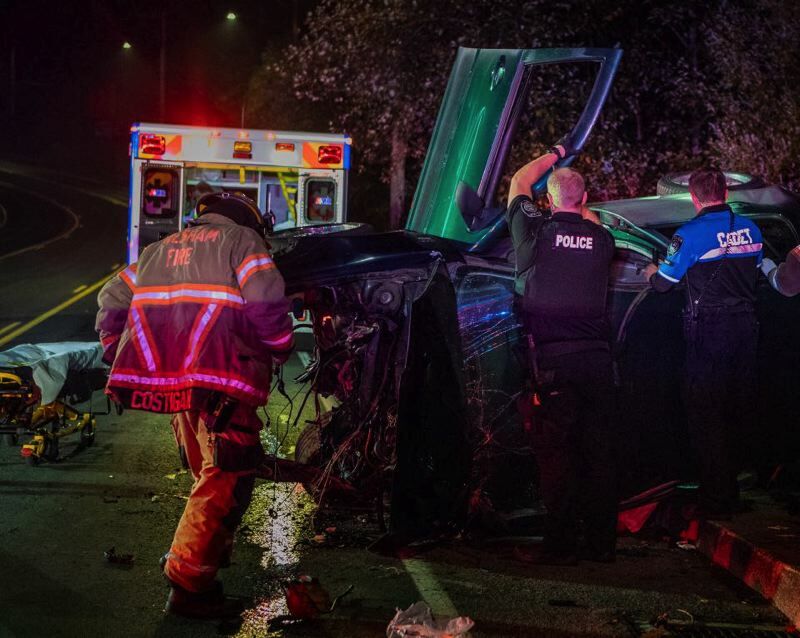 "I was still in the car, because cadets can't leave during those moments, but it was amazing to see. That is when I knew this is what I wanted to do." She got to see firsthand what it takes for officers to deal with the community in some of the worst moments of people's lives, and the positive impact that can result during their intervention. Even the more mundane tasks helped solidify Bush's desire, letting her understand all of the paperwork and desk time that happens as a police officer. "I enjoy the group dynamic," she said. "Everyone is close to each other and we spend a lot of time together. That makes me excited to be in law enforcement." The cadets find themselves playing integral roles at crime scenes. 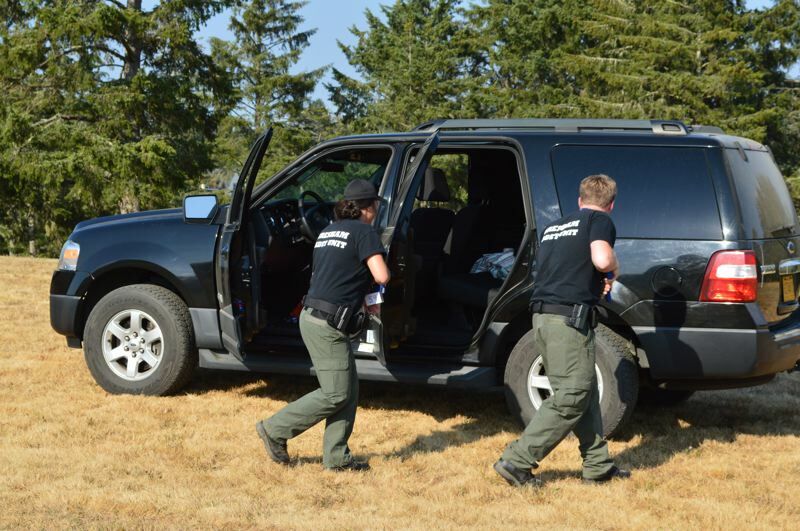 When the Gresham Police Department is called out to major crimes, the cadets often go to help manage the scene and search for evidence. During a homicide investigation in 2016, the cadets were tasked with using metal detectors to search for the gun that was thought to have been ditched in a field. During the hunt, one cadet ended up discovering the firearm, which ended up serving as the key piece of evidence. "We can rely on all of them," Crate said. "Everyone appreciates the work they do." Cadet recruits go through a similar hiring process as the officers they help, with current cadets sitting in on interviews to understand how it all works and add their input. 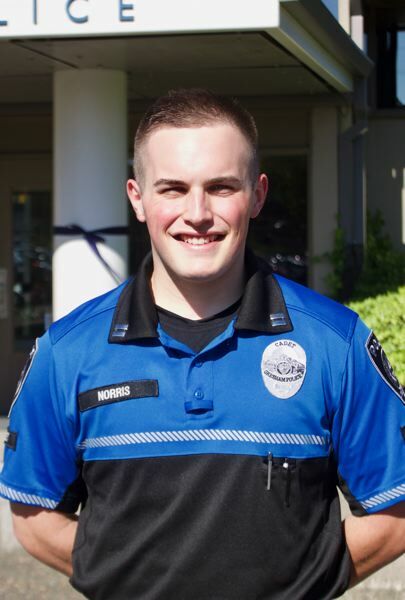 After being accepted as a cadet, the new recruits complete a training program hosted by the Clackamas County Sheriff's Office every Saturday for 10 weeks. The process is similar to the Police Academy, and prepares them for what will happen as a cadet. The cadets can remain in Gresham's program until they turn 21, at which point those interested in a career in law enforcement can begin applying to become a police officer. Last year Gresham police created a Junior Advisor position, which allows cadets to remain with the group until they turn 23. Cadets put in a lot of time. In 2017, they donated almost 9,600 hours of community service. "If they have aspirations of going into law enforcement, this is the perfect opportunity to build work skills," Crate said. Michael Norris first got involved with the Gresham department as a sophomore, thanks to an assignment in his health class. He had gone on a job shadow, and decided to stick with a family friend who worked as a Gresham officer. Going on a four-hour ride along during the shadow opened Norris' eyes to a career that would be the perfect fit for the self-described restless soul. "I don't like to sit for very long, and I like change and being able to move around," Norris said. "Every day as a police officer is different. You don't just sit around and a lot of it is hands-on." So, Norris joined the cadets in 2016. Now a sophomore at Mt. Hood Community College, he wants to transfer to Portland State University and continue pursuing a career in law enforcement. Norris, who lives in Sandy, serves as the captain of the unit, leading the group along with other members of the command staff. "Being named the captain showed that the work I am doing is reflecting well on me," he said of the appointment that happened about a year ago. "Joining the cadet post was one of the best decisions of my life." Bush has the longest commute to the department of all of the cadets, who come from all over to serve in Gresham. She lives in Woodland, Wash., but between the offerings at the department — and having an inside man in her stepfather working as an officer — Gresham was an easy choice. "This program is special because it has a lot of components of police work," she said. "We go above and beyond what is normal." It hasn't always been smooth sailing for the cadet program. Five years ago they only had eight members and had to make a push to find more recruits. Now, with the cadet unit thriving, Gresham Police Chief Robin Sells wants the number to grow to 40. And the cadets have been a boon for Gresham, as law enforcement agencies around the country struggle to fill out ranks and find new officers. In the past four years, Gresham has hired six of its cadets to serve in full-time positions within the department. "We can test drive them for a couple years before hiring them," Crate said. "I'm happy and proud when one of these kids achieves their dreams." The program functions like an internship for the department, allowing youths to see if they really want to pursue a position in law enforcement. 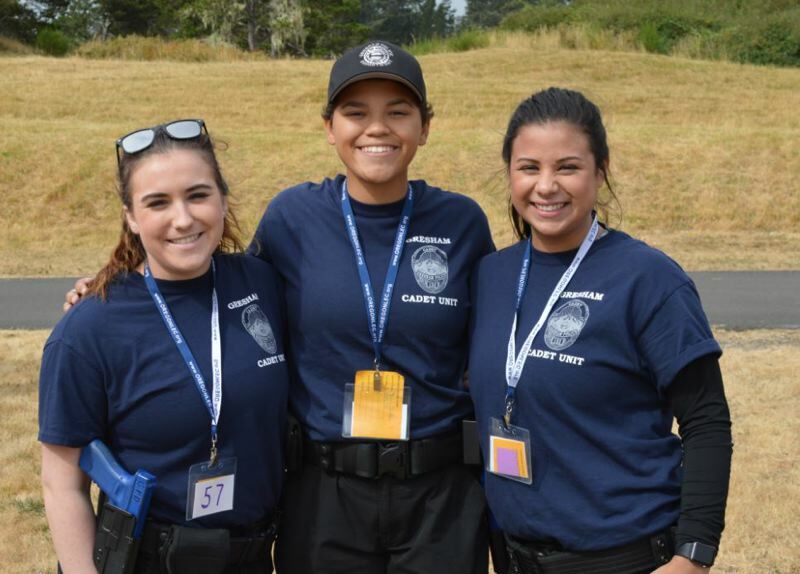 Not all of the cadets in Gresham want to become police officers, but rather work with the unit as a way to pick up volunteer hours and support their community. "Anyone thinking of going into law enforcement," Saddler said, "the cadet program can help you."